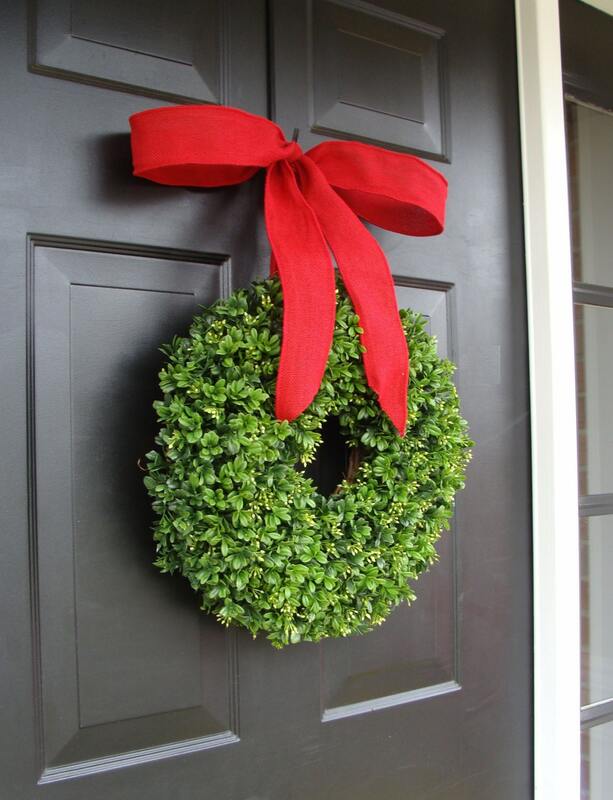 My artificial but realistic, full, lush boxwood wreath is all decked out for the Holiday Season! 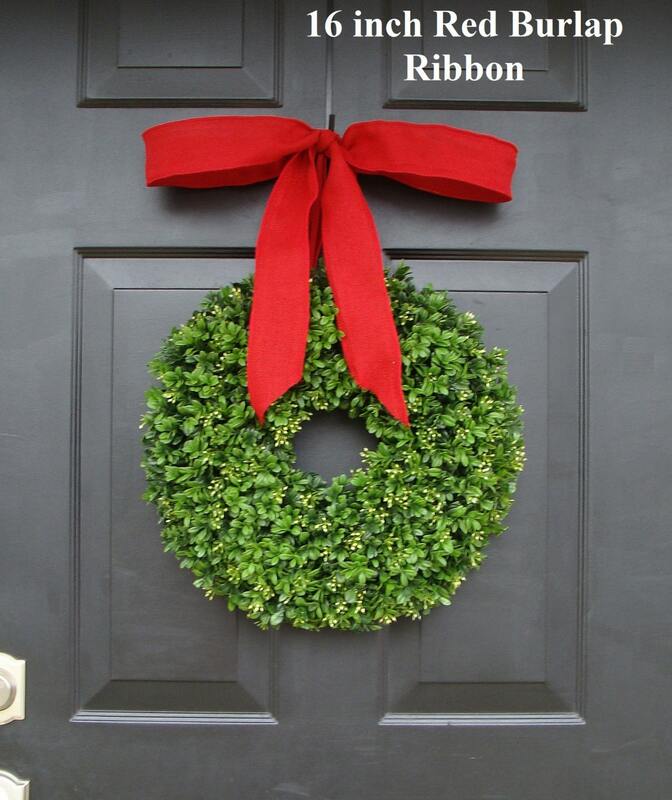 This winter wreath is durable, large and the size can be customized, 14-26 inch diameter are available. All wreaths 5-6 inches thick/deep. Perfect for front door as the boxwood is made of plastic and can get wet! 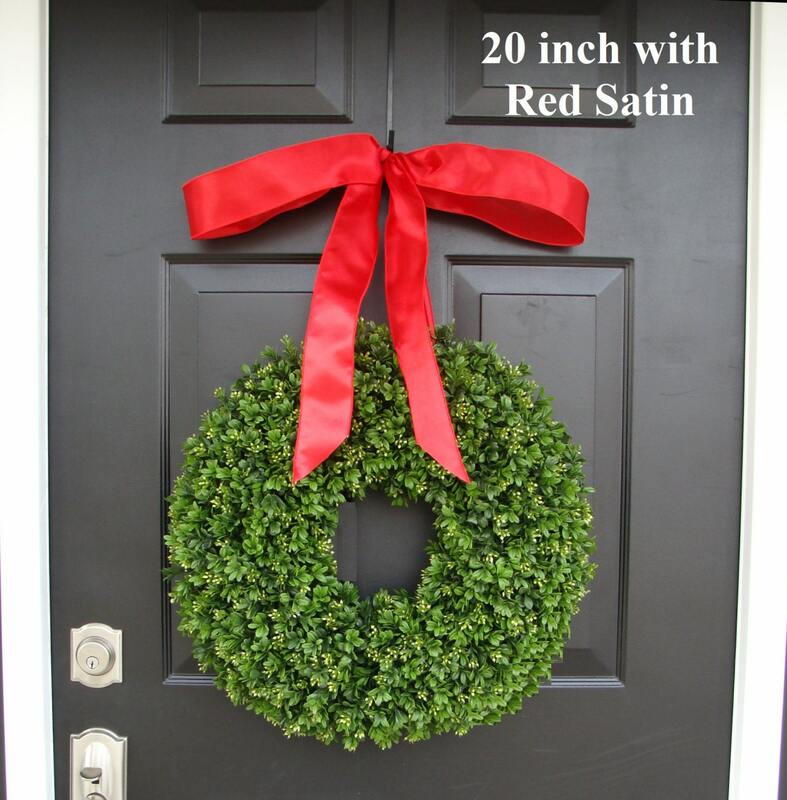 A great transitional winter wreath that you can use from Christmas to Spring! Please measure you space for appropriate sizing. 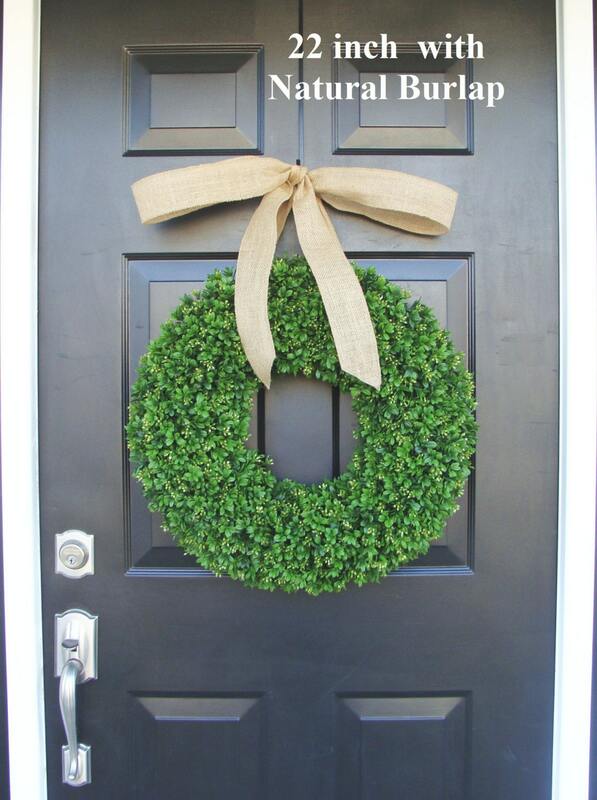 The diameter is measured from tip to tip of the boxwood greenery across the center of the wreath. 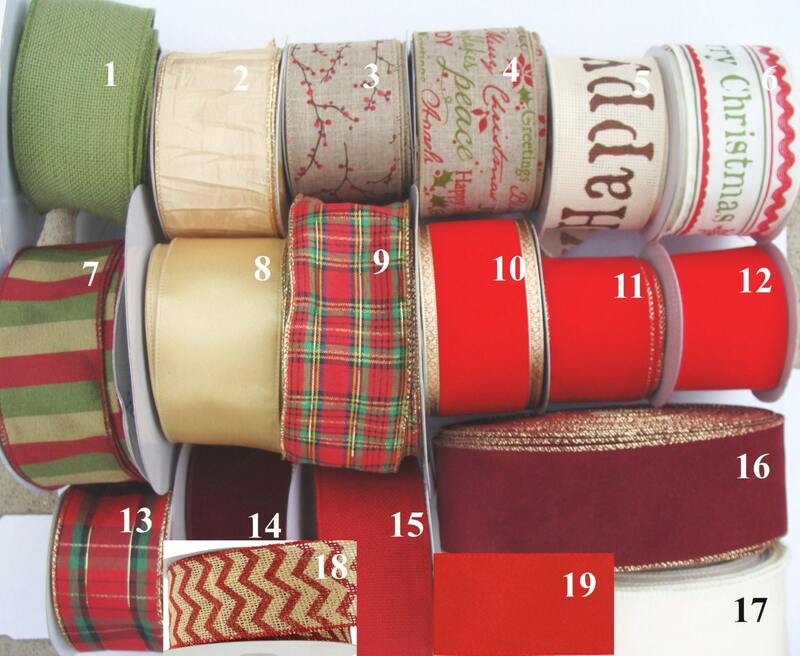 Choose your Designer Christmas Ribbon in 2 1/2 inch WIRED Thickness. The last picture indicated numbered options below. Well made, shipped fast and was the perfect addition to our Christmas house. Thanks! Wreath looks lovely! The shipping was delayed.